Plus Technologies has satisfied thousands of customers, installed tens of thousands of software licenses, and controls millions of printers. Our customers rely on our software to streamline their document related business processes. We have customers of all sizes, in many industries, and in 30+ countries around the world. 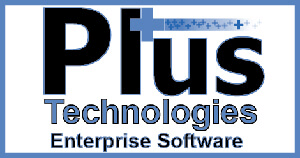 Plus Technologies has become a leader in the enterprise output and document management industry by being customer centric. First we listen to our customers – then we react quickly to solve their problem – then we provide world class support.